Though Monsanto won with their wallets in a few states during mid-term elections, residents of Maui County in Hawaii, known as ‘GMO Ground Zero,’ claimed a victory against the biotech bullies when a measure to ban the planting of genetically modified organisms passed with 50.2%. You can bet that Monsanto, and Dow AgrosSciences, among other GMO interests, tried to stop the ban in Hawaii, too. Both companies own enormous GMO growing and testing operations in the islands. They spent nearly $8 million to try to defeat the ban, making it the most expensive campaign in Hawaii’s history, according to Honolulu Civil Beat. 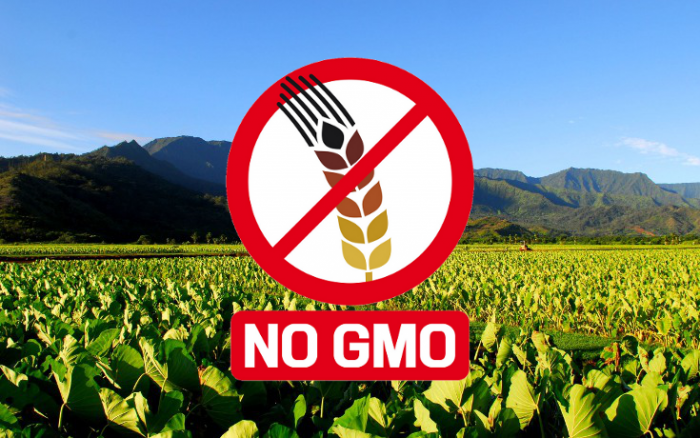 The Maui County Genetically Modified Organism Moratorium Initiative will ban all GMO growth, testing, or cultivation in the county until an environmental and public health study is conducted and finds the proposed cultivation practices to be safe and harmless. Hawaiians are currently living with crops that are sprayed with over 80 different types of chemicals by Big Ag business. The people of Hawaii have become more adamant about limiting the damage of these pesticides and herbicides to their environment and their own health – really one and the same. The Hawaiian Department of Health tested the surface water around the island last year, only to find pesticides in 100 percent of the samples. According to official election results, the moratorium passed with approximately 1,000 votes. In comparison to the millions raised in industry dollars by ban opposition group Citizens Against the Maui County Farming Ban (CAMCFB), supporters of the initiative raised just under $65,000. Maui’s win, along with the success of Humboldt County, California, which also passed a GMO ban, cost Monsanto and DuPont at least $24 million. Perhaps they could have used that money to come up with a better business plan than to poison the entire planet. Though Colorado’s measure to label GMOs lost —where corporate contributions lead by Monsanto and DuPont Pioneer topped $16 million, as well as Oregon’s (where a record-breaking $18 million was spent), we are still making progress, and as more people learn about GMOs we can only expect the heat against these companies to rise. I think you’re jumping the gun. The Federal Judge and his wife are tainted. I don’t understand why there has to be a fight over labeling. I understand Monsanto fighting to keep gmos active but what is the excuse to push against simple labels?? if you have to fight for deception that is a scary thing!!! Spending billions just so your pride gmo isn’t worded on a label??? That is some scary s***!!! If I believe in something I would take pride in it being labeled! This is so scary!!! Monsanto is in the killing business. I don’t know why people pretend otherwise. They only are in agriculture because it is the most effective way of having the power to poison as many people as possible. THANK YOU HAWAII AND HUMBOLDT! Nothing good with ever come from GMO “food” It is an experiment to enslave food plants with lock and key owned by Monsanto. Early on they realized there were substantial health consequences to adding poison tolerances into their modified crops, but they were like Good! We can just poison people so they need the medical industrial complex which will in turn (percentage wise) mostly fail them. I know it sounds severe, but Monsanto is the new Death camp, they don’t want you to escape. hawaiian pinable and papaya are GMO’s it seems is a little to late? I cannot believe how anyone with a brain and conscience, and everyone has a brain – can support GMO’s. And to see the voting so close – absolutely hard to believe. It should have been 100% “Yes” for GMO labeling. This doesn’t even go far enough. GMO’s and Pesticides should be BANNED altogether. I guess not everyone has a conscience. The people who voted for promoting GMO’s ought to be ashamed of themselves. I hope you people who love GMO’s and all the pesticides keep on consuming Monsanto’s poison. does the g in g13man mean government tool? why would you wish death to anyone. what you push on others is what you really want for yourself. here’s a rope. So you would admit that the gov. wishes death on others . Thanks for the rope , will it to me after you are done with it , lol , i need same to hold up my tarp , this nylon stuff does not last as long as WW2 rope . Sorry, I see your point now. The supporters know the game and stand to gais somehow or else they are pawns to those that do. I still don’t think wishing death on anyone is appropriate. That’s the kinda thing that Monsanto does. I am not wishing death to them > They can publically apologize and start eating healthy any time they want .